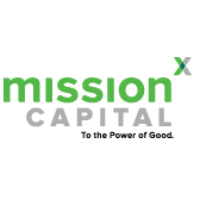 Mission Capital is seeking a Senior Consultant to join our Consulting Services Team. The ideal candidate is an insightful strategist and an outstanding communicator who will bring a unique point-of-view and diverse perspectives. This individual will also bring experience in consulting, the Central Texas social sector and nonprofit community, and a demonstrated passion for solving community problems. In addition, they will be successful in engaging diverse stakeholders in achieving consulting project goals. The Senior Consultant will lead projects with nonprofit organizations through project management, meeting and retreat facilitation, research and analysis, interviews and focus groups, and serving as a trusted advisor to consulting clients. Responsibilities will include managing projects and project teams, business development, and contributing as a thought leader to the consulting services team. Last year we worked alongside dozens of nonprofits and organizations, provided training to more than 1,500 professionals, engaged thousands more through our online membership community, and provided a variety of other services that contribute to solving complex community problems. We have a healthy organizational culture that values collaboration, service excellence, trust, learning, innovation and connectedness. Our dedicated staff of professionals has contributed to our strong growth over the past four years. Have a strong knowledge of the Central Texas nonprofit community in order to bring perspective of needs to clients. At Mission Capital, employees work in a mission-driven and inspiring work environment with meaningful values. They understand that their position matters to the organization, their team members but most importantly to our community. You’re not just filling a role; you’re contributing to an organization that provides the tools and guidance needed to tackle complex issues and create lasting social change. Leadership not only treats employees with a high level of respect but enjoys developing team members to be prepared for future opportunities within or outside of the organization. General office environment with low to moderate noise level. Work is generally sedentary in nature but requires standing and walking for up to 15% of the time. Occasional work required outside of normal business hours.